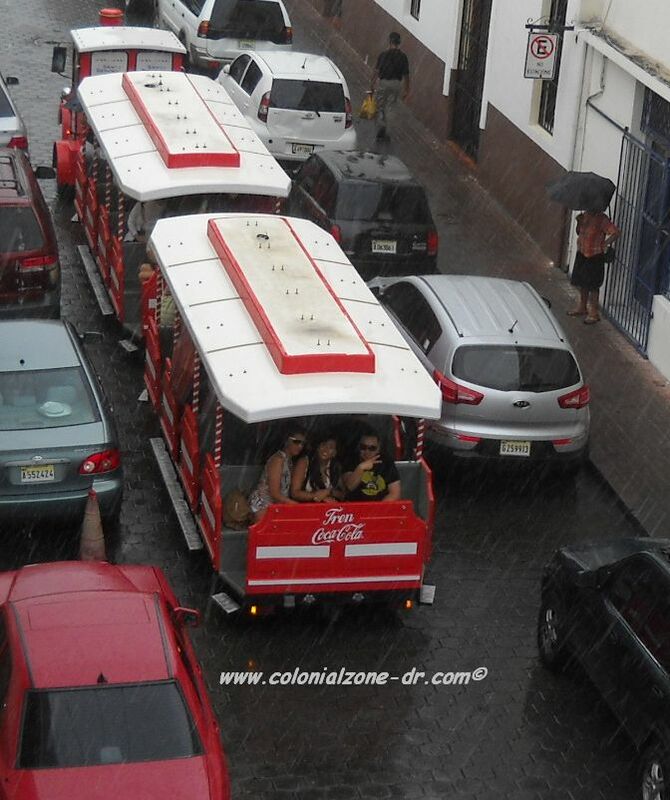 We have a nice steady rain today in the Colonial Zone. 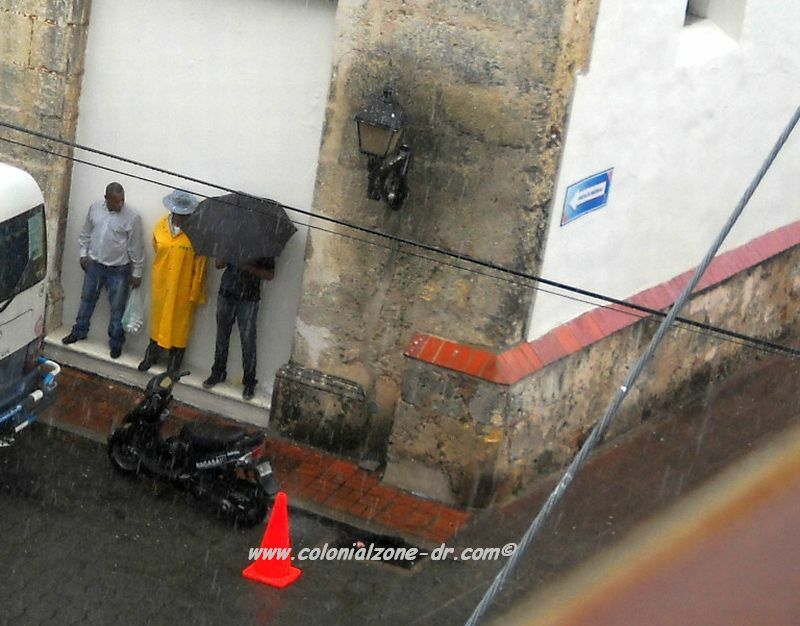 Everyone is taking cover wherever they are able. The people taking a little tour ride on the ChooChoo Colonial are getting a little bit wet but they are still having a good time. I heard laughter coming from inside the train. Peace back at you my friend. It has brought a reprieve from the heat. I like the rain at times. 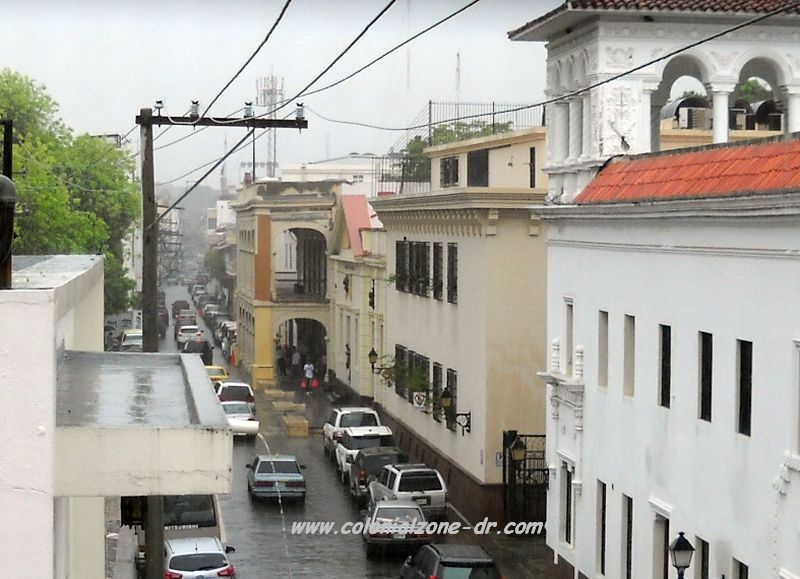 View From My Balcony Colonial Zone, enjoy, may, rain, view from my balcony. permalink.